Fixer Upper. 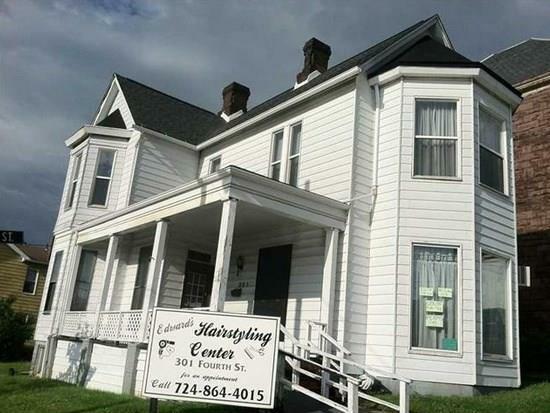 Perfect Opportunity For Any Type Of Business Or Live Upstairs And Have Your Business Downstairs. Second Floor Nearly Completed With Renovated Bath, Livingroom And Bedroom. Kitchen Needs Done. Spiral Staircase To Lower Level Which Is Currently Gutted. Great Frontage And Visibility With Large Front Porch. Large Rooms With Original Marble Fireplace Mantels. Ready To Bring Back To Original Beauty And Showpiece For Your Home, Business Or Retail. 1 Block From Picturesque Downtown Full Of Local Events, Businesses Restaurants And Community Activities. Hello, I'm interested in 301 4th St.